With the popularity of backcountry skiing on the rise it's to be expected that more and more companies are entering this area of the ski market. Hagan is an Austrian ski company that has 50 plus years of history to its credit and is know for their lightweight touring skis. It seems only natural then that they would some day produce their own backcountry ski touring bindings. 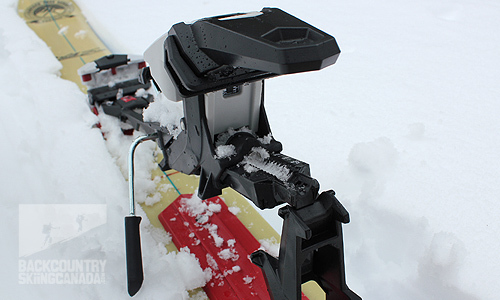 Wait no more; in the fall of 2012 the Hagan Z01 Alpine Touring Bindings became available in North America. It is hard to talk about the Hagan Z01 Alpine Touring Bindings without mentioning that they look remarkable similar to the Fritschi Diamir Freeride Pro AT bindings with their similar design, colour, and price range. 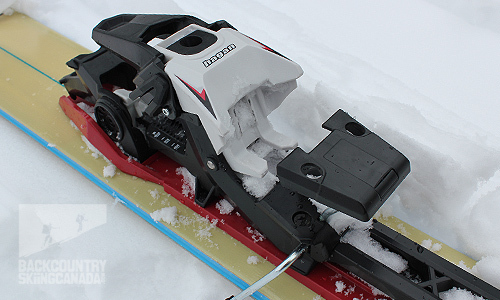 The Hagan Z01 Alpine Touring Bindings, however, are a few hundred grams lighter than the Freerides and utilize a far different heel locking mechanism. So why did Hagan design a relatively heavy binding compared to the ultra light-weight bindings on the market? It likely has to do with numbers; there is a bigger middle market of recreational backcountry skiers to appeal to versus the burly freeride crowd or the ultra-light race crowd. 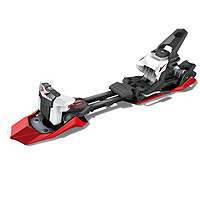 The Z01 Alpine Touring bindings are not built to compete with the Marker Dukes nor the Dynafit TLT's, instead these are an alternative for those of you who would ski on the Fritschi Diamir line of AT bindings. 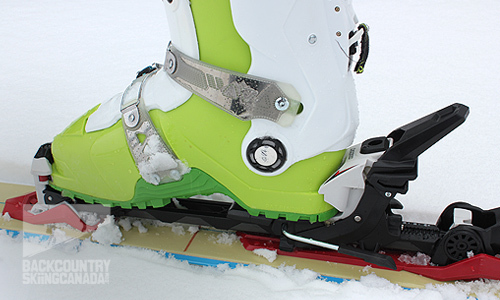 Hagan worked to design an AT binding that was easy to use and adjust while being compatible with both downhill and alpine touring boots. They wanted it to have good performance on the up and down with relatively low weight and a fair price. Lofty goals indeed. So did they achieve all that they set out to do with the new Z01? Read on for our impressions and verdict. 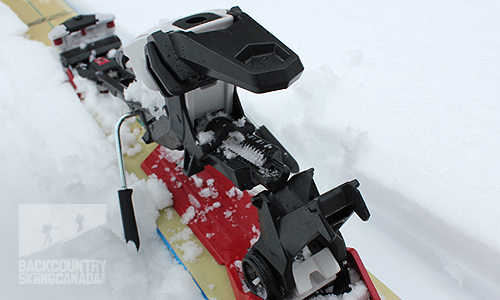 Hagan's Z01 Alpine Touring Bindings offer three heal height adjustments at 40mm/ 5˚, 80mm/ 11˚, 120mm/16˚ and of course the neutral position at 0˚ (which is in the neighbourhood of comprable AT bindings). Each height can be easily achieved with a flick of your pole and, unlike other AT bindings, there is no need to contort your upper torso to adjust the settings - it truly is 'easy-peasy'. The innovative Z01 toe pieces include three main features. First, the toe piece is made up of two flanks that allow the binding to adjust to different boot sole dimensions and geometries while also allowing for more precise lateral release control than other common toe pieces. Second, Hagan took a page out of the downhill binding design book and included rollers on the toe piece flanks to decrease friction and ensure the binding releases when you need it to. The third design feature in this triple play is the gliding sole support plate which negates the effect of the rubber soles on AT boots, which increase friction. By taking the boot sole friction out of the equation, the gliding plate ensures that both your AT boot and your downhill ski boot will release. 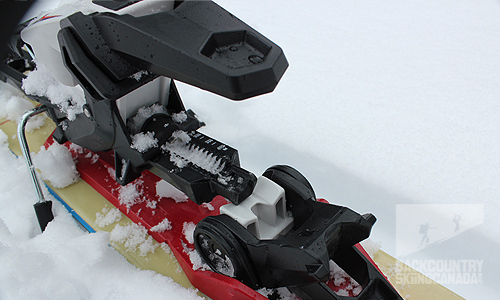 The bulk of the Hagan Z01 Alpine Touring Bindings are made of plastic components due to its light-weight properties. To ensure torsional and lateral rigidity, however, you need to integrate metal at some point. As such, Hagan used two carbon rods to reinforce the step frame thus succeeding in making the binder stronger, while still keeping things on the lighter side. Although the heal piece design on the Hagan Z01s looks very familiar, if you look a little closer you will see that it operates very differently from designs you have seen before. Specifically, rather than use the traditional single piece heal tension design, Hagan has used a two piece heal retention system, which clamps over the step frame from a rear-vertical orientation. This design places all of the spring loaded tension on the step frame from a more vertical orientation rather than the traditional horizontal one. Ideally, this system should reduce wear on the plastic contact points as the shearing forces are greatly reduced. 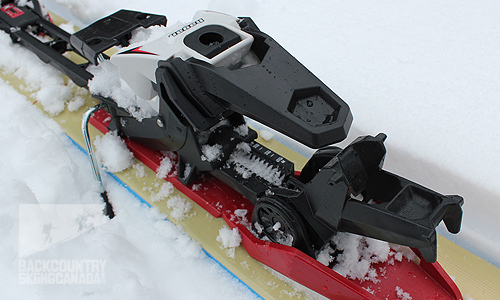 So how did the Hagan Z01 Alpine Touring Bindings do on price, performance, compatibility, adjustability and weight? At $489, the price is comparable to other AT bindings in this class (give or take $10). We also found that the performance was ideal with a good solid contact between the binding and the boot with no evident play in those crucial areas. 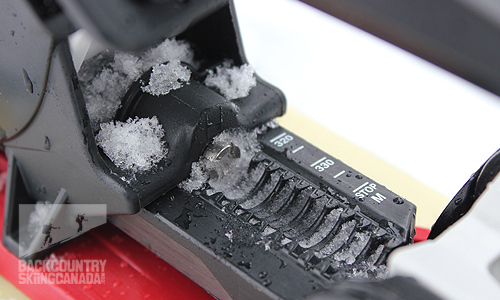 In terms of compatibility, the Z01 accommodated both AT and the traditional downhill boots that we tried, it also offered easy access adjustments for DIN and size as well as outstanding pole adjustment on the heel risers. With regards to weight, the Z01 came in at 200g less than what competing models have to offer. So, overall, I would have to say 'yes' Hagan has fulfilled their mandate. If you are looking to go lighter than the 1,830g weight of the Hagan Z01's "All Mountain" AT bindings then look for the Hagan Z02 "Tour" AT bindings which weighs in at 1,680 grams and features a DIN of 3-10 rather than the 4-12 on the Z01s. You'll also save a $100 on the Hagan Z02s over the Z01s! 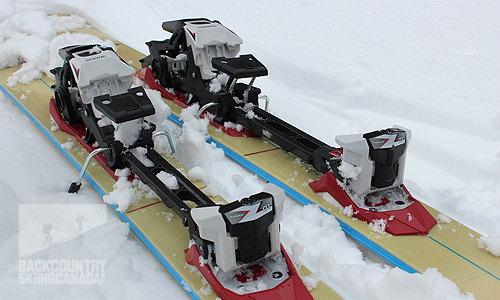 My first impression of the Hagan Z01 Alpine Touring Bindings was that they felt and looked very light. Although I was excited for light bindings, I was worried that they did not have the bulk to ensure stability and structural integrity. Looks can be deceiving, however, and after using the Z01's for several outings my mind was put at ease. I saw no evident play or soft spots, I found the binding to be very secure and, overall, it had much more structural integrity than I anticipated. Despite these results, I am interested to see how the bindings stand the test of time. I will be keeping a very close eye on the metal toe hinge for fatigue as well as the heal locking mechanism as this is where plastic meets plastic and traditionally wear and tear produces less than desired tolerances over time. These areas of concern are not limited to just the Hagan bindings, however, as these issues also exist in other competing brand. In addition to the short term durability, I was very impressed with the design of the heal piece and how the locking mechanism snaps firmly down on the step plate from a rear vertical orientation. I found this configuration helped deal with that dreaded snow build-up problem under the heal. 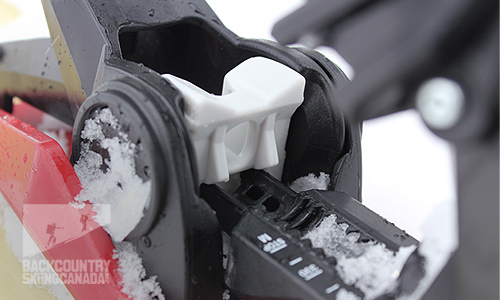 You could reliably lock your heal down regardless of snow build-up without having to muscle it into place. 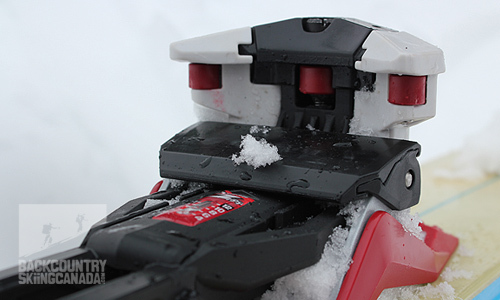 Furthermore, my favorite feature of the Hagan Z01 Alpine Touring Bindings is the ease of use of the heal risers. It has a good snap so you rarely miss the level you are looking for and, once there, it stays put. I had no issues with it falling down a level while grinding out mileage on the up track. Hagan gets full points on the placement and formation of the holes on the heal riser, they are just where you need them to be, just the right size for your pole and they just plain work. 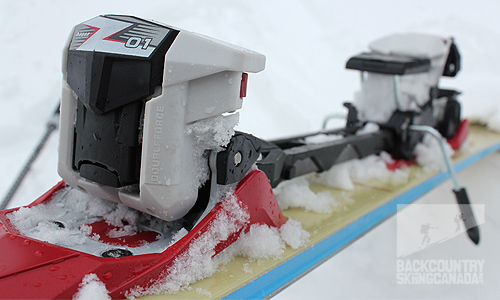 Overall, I was impressed with the weight, performance and function of the Hagan Z01 Alpine Touring Bindings. This new product is a welcome addition to the market place as ultimately it is us, the backcountry skiers, who stand to benefit from some healthy competition. Compatible with alpine touring and downhill boots. Three super simple pole adjustable climbing mode heights. Light, but still provides firm, stable performance. Many plastic parts that could wear out over the long term. The design does not look as solid as they actually are.